ORDINARY family members from all walks of life are undertaking a charity challenge that really packs a punch. 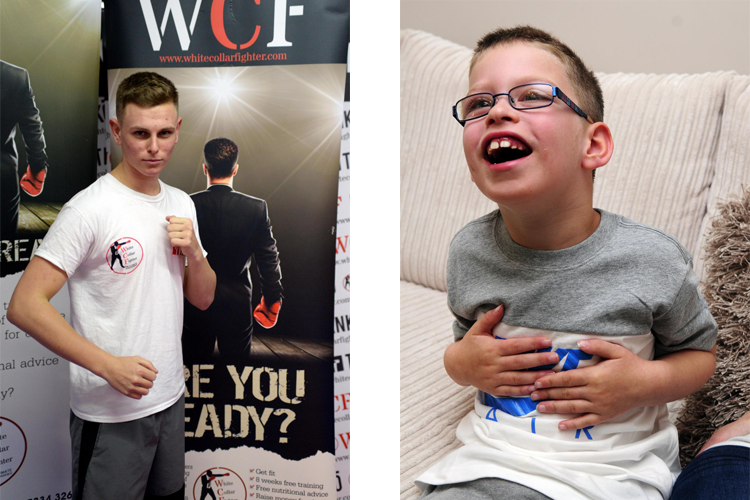 Several people from Bolton are contenders in the White Collar Fighter programme where amateurs — usually complete beginners — undertake eight weeks of training ahead of their first bout while raising cash for a good cause. Their challenge culminates in a match lasting three two-minute rounds in front of hundreds of spectators on March 18th at Bowlers Exhibition Centre in Trafford. Teenager Jake Carey is raising money to buy a specialist bed for his girlfriend Chanell Sollinger’s eight-year-old brother Brayden Cosgrove. Brayden, who lives with his family in Farnworth, has the rare condition lissencephaly which means he suffers with seizures regularly, cannot talk very well and has restricted movement. Bank worker Mr Carey said: “He’s a wonderful lad and he’s always smiling and always laughing and he’s always happy. Mr Carey has already completed one White Collar Boxing programme and won his debut fight on a split decision in November. The 18-year-old said: “I raised £400 for Cancer Research UK and I thought I would do it again and I was thinking what I could raise money for and because I’m quite close to Brayden and his family I could try to raise money for a bed for him. Mr Carey and the other contestants train twice a week at JMA Academy gym in Atherton where they are put through their paces by boxing coaches. In the fourth week they learn which of the other entrants will be their opponent at a much-anticipated Split Night that is treated a bit like a professional weigh-in where the fighters square up and pose for photographs. 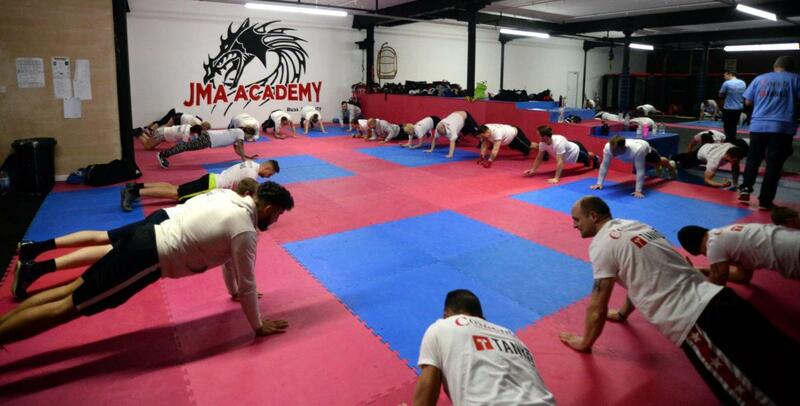 The group is divided into two teams who from thereon in train separately on different nights with different coaches in order to intensify the rivalry between fighters and further build camaraderie. Mr Carey, of Mosley Common, said: “I’m on the second week and it’s brilliant. “I have kept my fitness up since last time so it’s more focusing on technique this time. “I took up boxing training six years ago but I didn’t go all out in the sessions: I would go along one time and then not turn up for weeks and then go along one time. “Now I’m committed to the programme. “I definitely feel more confident and I’m enjoying the training. “The coaching is brilliant as they take the time to come over to you and advise you individually. “Within the group we have a complete range of ages and abilities. I’m 18 so I’m one of the youngest and it goes up to guys who are in their 40s. “We’re all different shapes and sizes and some people have had boxing training before and some haven’t. Other competitors include Bolton cleaning company worker Neil Forrester, 36, who is raising money for Salford Royal Hospital, and his brother — and Wanderers fan — Clive Guest, a 39-year-old builder, who has chosen Royal Manchester Children’s Hospital as his cause after clinicians there saved his son’s life four-and-a-half years ago. Similarly taking part is Lesley Brady, aged 36, of Fearney Side, Little Lever. The yoga teacher, model and full-time carer to an autistic son is generating funds with her sponsorship for Bolton-based based charity Breaking Barriers North West that provides assistance, advice and activities for families with disabled children. She said: “It’s my first taste of white collar boxing and it’s going all right. “I actually did a similar challenge with Thai boxing in 2012 but the only similarity is getting into a ring. “It’s hampering me as I’m having to unlearn the Thai boxing moves and techniques. “I’m nervous and I’d be lying if I said I can’t wait to get in the ring — but I’m looking forward to the whole process.